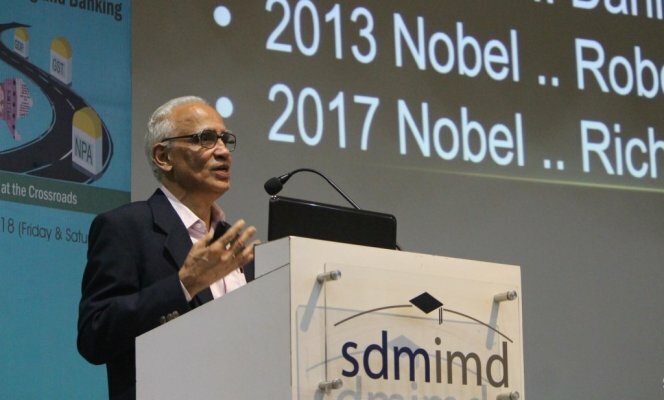 SDMIMD organized the 7th edition of the International Finance Conference - Emerging Trends in Finance, Accounting and Banking on September 7 and 8, 2018. The conference discussed and deliberated on the theme Global Recovery- India at the crossroads. Dr. N.R. 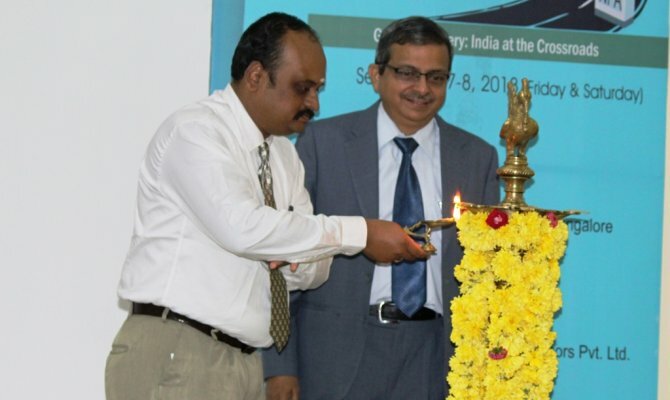 Parasuraman, Director and Professor- Finance, SDMIMD, inaugurated the conference and delivered the inaugural address on the conference theme. Earlier, Dr. M. Sriram, Conference Chair and Assistant Professor- Finance, welcomed the gathering and introduced the theme of the conference. The keynote address was delivered by Dr. Prasanna Chandra, Director, Centre for Financial Management, Bengaluru. Dr. Chandra focused the keynote on ‘Behavioural Finance’ and its relevance in the context of research in capital markets. The conference included a mix of technical talks and paper presentations from India and abroad. Sri. Girinarayan, Partner, Your HR Buddy, spoke on Leadership Beyond Finance. Sri. Bharath Ram, Managing Director, Lokkur Investment Advisors Pvt Ltd highlighted on Current Trends in Indian Capital Market. Lt. Col. L. Harsha, Secretary, Project Management Institute, Bengaluru Chapter, presented the invited talk on ‘the importance of project management in the context of infrastructure finance’. The distinguished speaker during the valedictory programme was Sri. V.S. Manimaran, Chairman and Managing Director, Visskan Aviation Pvt Ltd. The valedictory address focused on the trends in aviation sector with special reference to ground handling and importance of financial management and administrative aspects in aviation industry. The CFO of Visskan Logistics Pvt Ltd, Sri. Gautam Srinivasan was present on the occasion. The conference attracted 60+ papers on the conference theme and attracted more than 100 participants both from India and abroad.